Samsung will unveil the Galaxy S9 and Galaxy S9 Plus in one month on February 25 but we already have a pretty good idea what the phones will looks like thanks to recent Caseme Case renders. 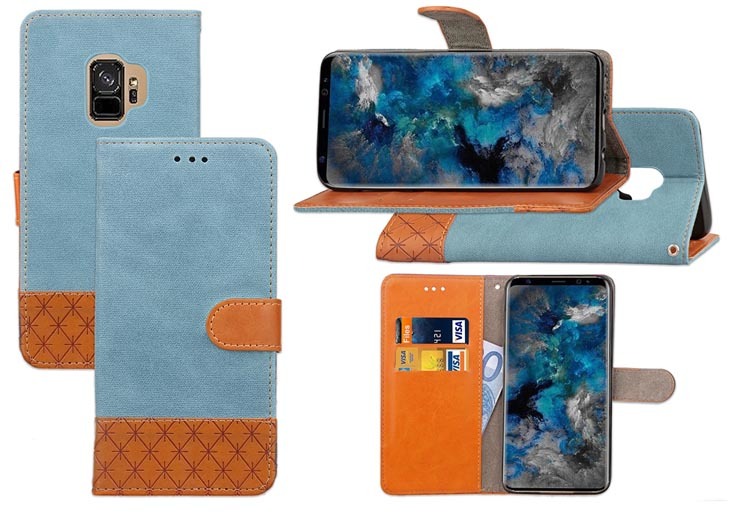 Now, thanks to a fresh case leak we get to see even more of the bigger Galaxy S9+. The Galaxy S9+ is seen fitted in Poetic cases in two color variants – Grey and what looks like Orchid Silver. The phone’s front looks indistinguishable from the current-gen Galaxy S8 Plus but the back features the new dual camera and the properly-placed fingerprint scanner. The Galaxy S9 and S9+ will be similar in size and looks to the Galaxy S8 duo but will have slimmer bezels, will add faster cameras with brighter optics (f/1.5), stereo speakers and faster processors. Super slow-motion video is expected too – 480fps in 1080p.